31/10/14. Alqosh, Iraq. 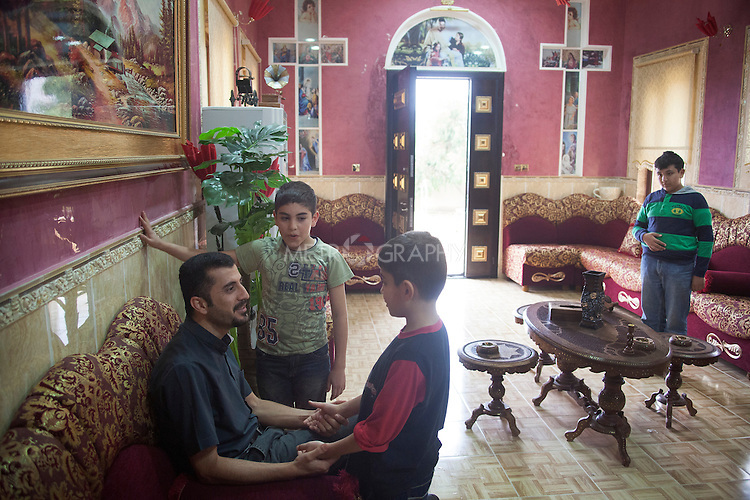 father Yousif (left sitting), the manager of the orphanage, welcomes Milad (centre) and Wassam (second left) back to Alqosh. He asks what they did during their holiday.